Pay per click (PPC) advertising is an extremely popular way of getting traffic to your website to boost leads and sales relatively quickly. ExtraDigital have successfully managed numerous PPC campaigns for many different companies, in languages including French, German, Dutch, Spanish, Arabic and Italian. The French market itself is a very attractive market for most businesses. 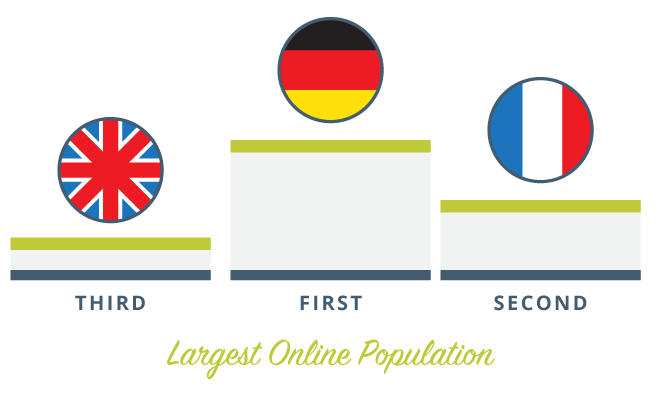 As a country, France has the 5th biggest GDP in the world and they represent the 2nd biggest online population in the EU (behind Germany, but ahead of the UK). The top search engines in France is Google with a very dominant market share. This is followed by small volumes of searches on Bing, Yahoo and then DuckDuckGo and MSN. Google has the largest portion of the search engine market. This market share has grown dramatically in recent years as Google has invested more in understanding and reacting to the French language. Voila was a dedicated French search engine and its users tended to be members of the French population who used the search engine when it was the largest player in the market. This was acquired by Orange a few years ago and no longer exists as a stand alone search engine. It is worth noting that although Orange search is based on Voila, the paid search uses Google AdWords. When you look closer at the use of search engines in France they actually do far fewer searches per month than those in the UK. This low number of searches actually means that the costs of bids and cost per click (CPC) for French PPC are actually lower than that of a comparison in the UK. Lower competition and lower costs mean that with effective French PPC management, this can be a very profitable advertising channel. A key factor to remember here is that with a lower cost per click and a lower number of searches in France you are not going to see as high of a conversion rate. Your return on investment may not be hugely different but your approach to this return on investment will need to be. The French language has four significant accents. Evidence shows that French speakers do not use the same accent consistently when they do searches, so there is a lot more to work with and optimise for. Search engines often compensate for differences like this but due to the complexity of the accents within the French language, this is not the case for the time being. In fact, Google only normalises the acute accents currently. All languages have their conventions for forming plurals - or stemming. Within the French language most words add an s, but some add an x and some change (for example -al becomes -aux). In common with English many words have the same for singular and plural. Search engines are very quickly catching up on natural speech and can cope with singular/plural versions of words. But an understanding of French grammar helps when managing paid search campaigns. Google allow 3 lines of text for PPC campaigns, with defined lengths in terms of number of characters for these lines of text. The French language uses longer words and a greater number of words to communicate the same point compared to the English language, so the same text tends to be around 20% longer. Creating short enough ad copy is therefore more of a challenge in French. It goes without saying that ad copy sholul be written by French speakers and not translated using Google translate. 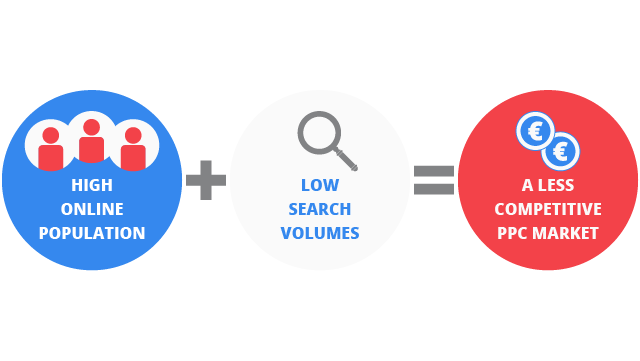 Looking for French PPC Management? ExtraDigital have managed PPC campaigns in French for over 10 years, for a range of clients from B2B, to online shopping, education courses , property and travel. If you are in need of French PPC management services to ensure success with your French paid advertising then contact the team today on +44 (0) 1227 68 68 98 to discuss what we can do for you.